I just received a check from ActBlue. What does this mean? Small-dollar donors found your campaign or organization on our platform and have decided to contribute to support your work. Those aren’t funds coming directly from ActBlue, they’re coming from donors who want to support you — we just processed those dollars and cut you a check. 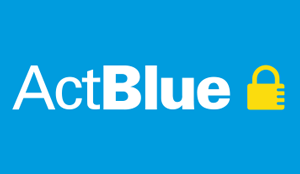 If you already have an account as an admin user on ActBlue’s website and want to see who it was that contributed, just follow this link to learn how. If you don’t have an ActBlue account, or you have any further questions about the check you’ve received, feel free to get in touch, or call our office at 617-517-7600. You can read all about us here. 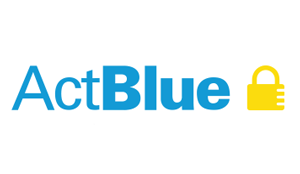 ActBlue puts powerful online fundraising tools in the hands of Democrats and social welfare groups. Our mission is to democratize power by making it easy for donors to connect with the candidates and causes they support. We’re a diverse bunch, and we hail from all over the political and tech worlds. Learn more about the ActBlue Team. 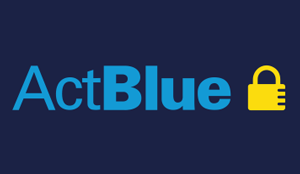 ActBlue is a nonprofit political action committee registered with the Federal Elections Commission and state electoral authorities in over 20 states. We are also registered with the IRS as a 527 political organization for many of our non-federal activities. ActBlue Civics is an issue advocacy group that supports the online fundraising efforts of left/liberal social welfare organizations. ActBlue Civics is filed with the IRS as a 501c(4) organization. What is ActBlue Technical Services? ActBlue Technical Services is a nonprofit that provides ActBlue with the technical expertise that maintains our infrastructure. They’re always working to innovate, so our software can do more for you and make it easier for donors to give. 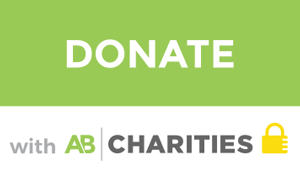 We’re a nonprofit organization, so we rely on tips on the contributions we process as well as our own fundraising campaigns to bring in income. The low fees charged on contributions only go towards processing contributions. In other words, we are powered entirely by our amazing donors. Below you'll find a bunch of ActBlue badges in popular sizes that you can download and add to your website. Just right-click on the badge you want and save it. If you're a designer and want to incorporate high-resolution versions of the ActBlue logo and design elements into your designs, get in touch.